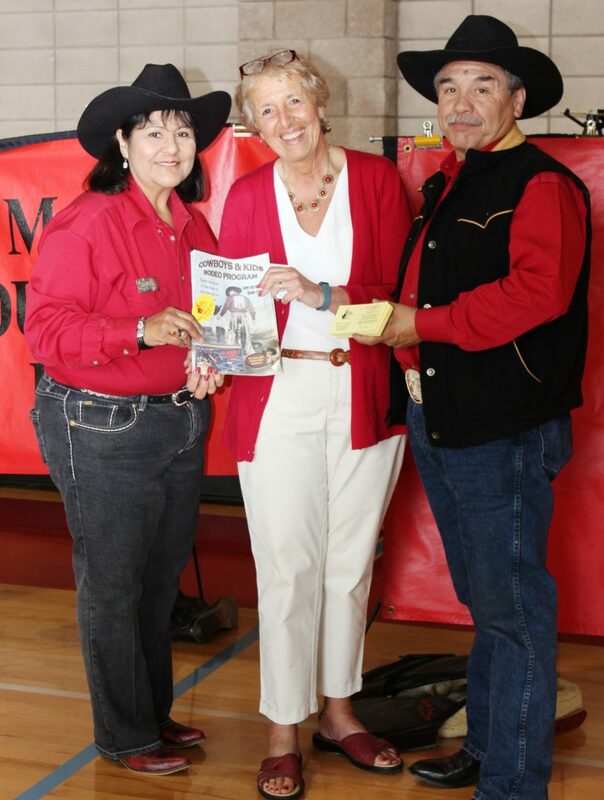 I would like to take this opportunity to express my delight at the C & K Rodeo program, created by Penny Conway. This is a tool long needed in the rodeo business. It is so well done and very appealing to you and old alike. Not only will it create new fans (in the children) but it makes them informed fans in a language they can understand. As a promotional tool it could be invaluable in so many ways. I highly recommend this for your rodeo. 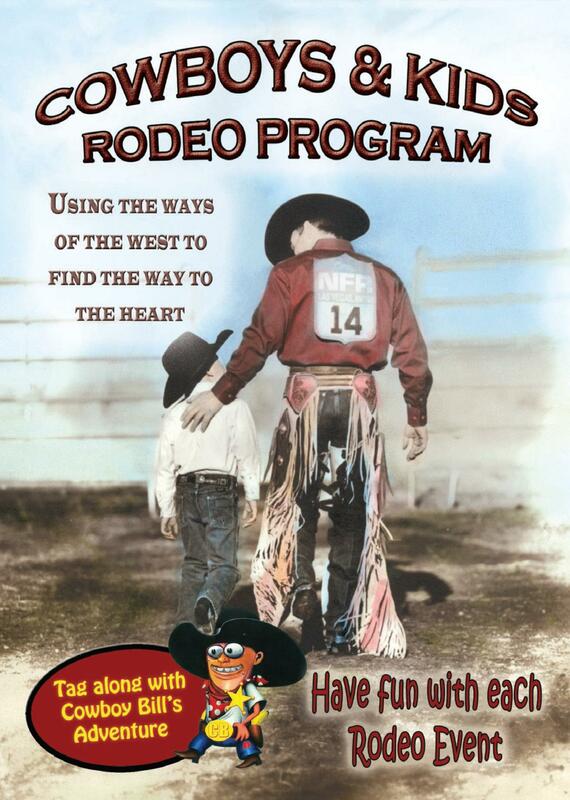 The Cowboys & Kids Rodeo Program is a great teaching tool and souvenir. 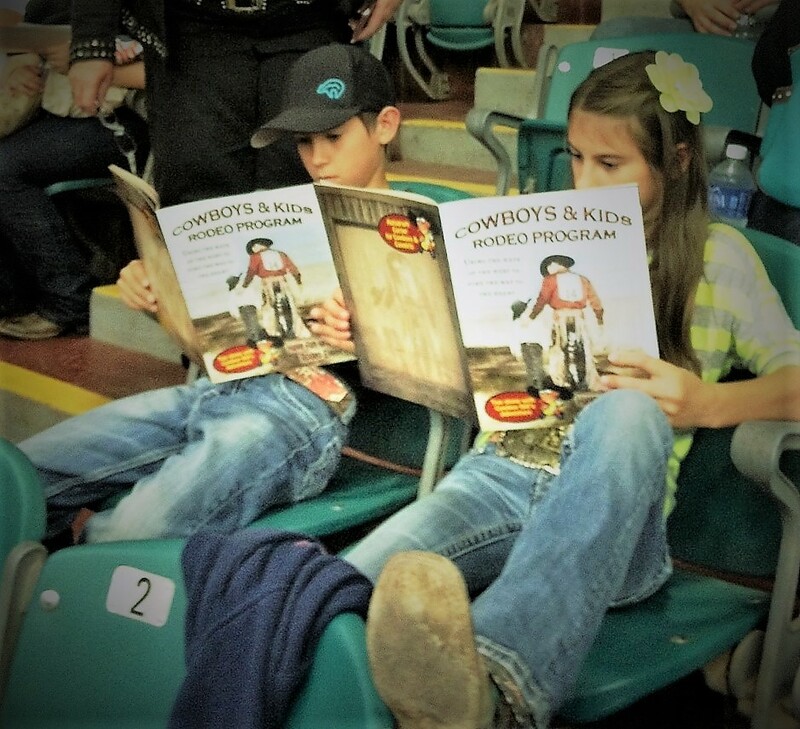 We need to educate the next generation about the great sport of rodeo and this is an entertaining and informative way to do it. The product is well done and should be easy for rodeos to find a sponsor. The Cowboy Capital of the World PRCA rodeo was held recently and one of our highlights was the school tours. The tours included a visit from the Rodeo announcer, rodeo clowns, Whiplash the Monkey and a visit of some of the rodeo events. The students were presented with bandanas that gave them a free admission into our rodeo and an outstanding magazine called Cowboys and Kids! This magazine completed the tour with a wonderful explanation of the sport of rodeo and all of its highlights! Thank you to the Cowboys and Kids rodeo magazine! The Kids loved the pictures and information! Educating kids and promoting the western way of life is crucial to the NILE. 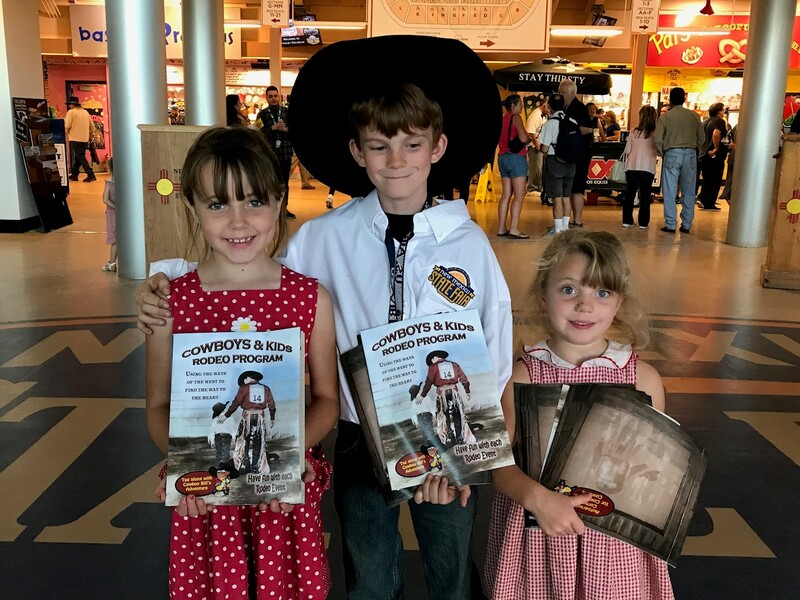 The Cowboys and Kids programs were a hit allowing us to promote the positives of rodeo, add entertainment and give the kids a piece of the auction to take home. The programs were a resounding success! Poway Rodeo uses our VIP area at the Saturday afternoon performance, as “Kids are VIP’s Too”. We serve kid-oriented food/drink and have as many hand outs as possible supplied by sponsors. The Cowboys’ and Kids Programs were a hit. We supplied small boxes of crayons and any questions were answered by the Rodeo Queens, clown, stock contractor and committee members. Thank you for including us in your contacts. We hope to hear from you next year. Turquoise Circuit bought 500 of the new Cowboys and Kids Rodeo Program this year to sell at our circuit finals rodeo. While we didn’t sell them all, it was a successful project. The program is appealing to kids and adults alike. It is colorful and full of information about rodeo presented in a way that children and adults find fun and interactive. We also used the back page for autographs after the rodeo. Penny has also made the program so the committee could sell their own ads. Once again Penny has done a project that will teach the future generations about rodeo. The Steamboat Sprints Pro Rodeo Series purchased 200 Cowboys and Kids Rodeo Programs for second half of the season. 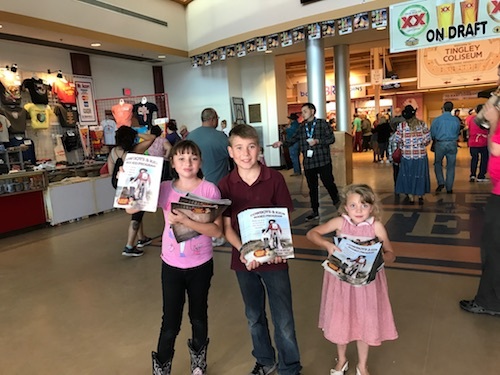 We had great experience with parents purchasing programs for their kids to 1) learn more about rodeo and 2) have an activated to do before the rodeo started (we have general admission seating, and family arrive early) We had nothing but positive feedback on the programs. We are hoping to expand distribution of the programs in 2015 by brining in kids’ program sponsor.